Chyenne is using Smore newsletters to spread the word online. Seller representation: If you are selling a property and enter a brokerage agreement with a Realtor, that Realtor and their firm become your representative during that specific transaction. They are legally obligated to represent you and your financial interests as a seller. Buyer representation: If you are buying a property and enter a brokerage agreement with a Realtor, that Realtor and their firm become your representative during that specific transaction. They are legally obligated to represent you and your financial interests as a buyer. Seller agency: A Realtor from Brokerage A represents the seller in a transaction. This Realtor looks out for the best interest of the seller in the transaction, and owes the buyer honesty and any material facts about the listed property that are needed to make an educated decision. Buyer agency: A Realtor from Brokerage B represents the buyer in a transaction. This Realtor looks out for the best interest of the buyer in the transaction, and owes the seller honesty and any material facts that are needed to make an educated decision. Dual agency: One Realtor from Brokerage A represents both the buyer and the seller in a transaction. 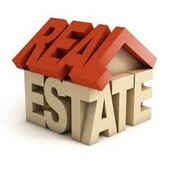 This Realtor represents the buyer and seller equally and owes confidentiality to both parties. Realtors in a dual-agency relationship facilitate the entire transaction and may not provide full advice to either party due to confidentiality. Designated agency: Real estate Brokerage A represents both the buyer and seller, with one Realtor from Brokerage A representing the seller and a separate Realtor from Brokerage A representing the buyer. The brokerage represents the buyer and seller equally, owes confidentiality to all parties and may do nothing to the detriment of either the buyer or the seller. The best option for building or buying a tiny house is funding the purchase or build yourself. That way you can pay for what you need straight up, without worrying about interest rates and getting into debt .Some tiny house manufacturers have in-house schemes to help out their customers. This of course depends entirely on the company, but it could be a good way to break up and spread out your payments.